Pocket Folders are printed and used more as tools for business presentations with clients to aid in the sales process. Would you walk into an important business meeting in a tank top and sandals? Impressions are all about presentation. You may produce award winning products, but if they aren’t presented professionally, you could lose the order. Don't leave the quality of your folders to chance when you can rest assured that we'll deliver the best quality available. 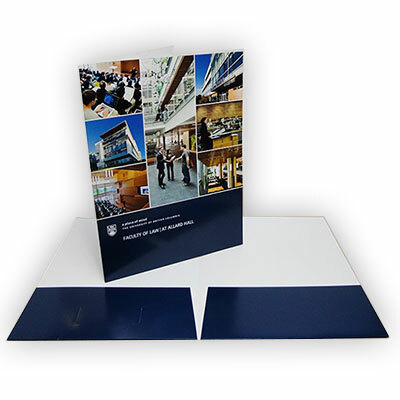 ADD Printing can produce presentation pocket folders in a wide range of shapes and sizes that are perfect for your next important meeting. And, of course, be ready to follow up after your meetings with handwritten notes on professional stationery.